عندما تزور هذه المدينة رائعة الجمال، ستشعر أنك في بيتك في West Coaster Motel الذي يقدم لك إقامة متميزة و خدمات عظيمة. يمكن من هنا للضيوف الاستمتاع بسهولة الوصول إلى كل ما تقدمه هذه المدينة النابضة بالحياة. يضفي محيط الفندق اللطيف وقربه من أكثر المعالم السياحية جذبًا سحرًا خاصًا على هذا الفندق. يعمل West Coaster Motel على ضمان إقامة مريحة لضيوفه من خلال خدماته الممتازة وحسن ضيافته. لضمان راحة ضيوفه، يقدم الفندق الخدمات التالية: واي فاي مجاني في جميع الغرف, واي فاي في المناطق العامة, صف السيارات, خدمة الغرف, غرفة عائلية . بالإضافة لهذا، تتضمن كل غرف الضيوف مجموعة واسعة من وسائل الراحة . بعض الغرف توفر حتى تلفزيون بشاشة مسطحة, اتصال لاسلكي بالإنترنت, اتصال لاسلكي بشبكة الإنترنت (مجاني), غرف لغير المدخنين, تدفئة لإرضاء أكثر الضيوف تطلبًا. سواء كنت من محبي الرياضة أو كنت تتطلع لتفريغ عناء نهار صعب، ستجد خدمات ذات مستوى عالي بانتظارك كمثل حديقة. إن West Coaster Motel هو خيار ذكي بالنسبة للمسافرين، فهو يوفر إقامة هادئة ومناسبة للاسترخاء. تسجيل الدخول غير متاح بعد 09:00 PM. يُطلب من الضيوف الذين سيصلون خارج الوقت المحدد لتسجيل الدخول تزويدنا بالموعد التقريبي لوصولهم في حقل الطلبات الخاصة عند الحجز. 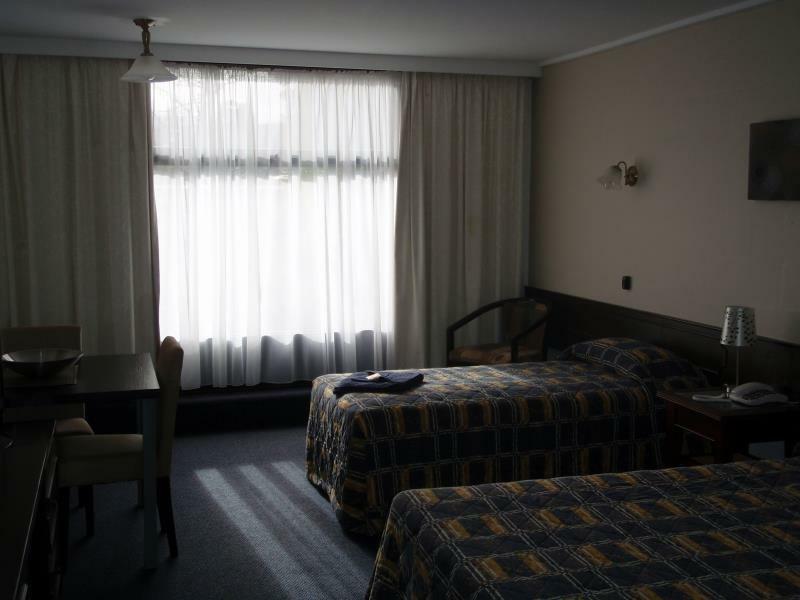 The motel was very clean, spacious rooms and very well equipped. It is quite old but this is not a problem as all the facilities are included at a reasonable price. 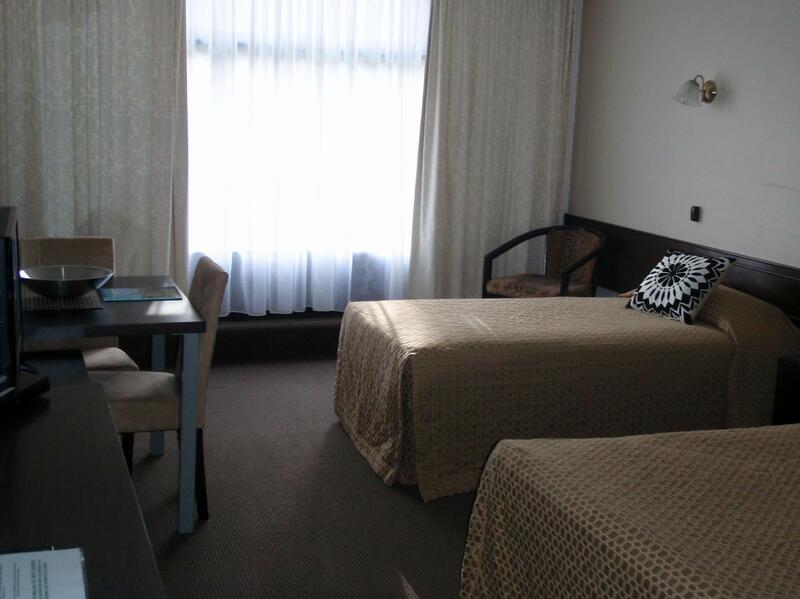 Average quality hotel, rooms are comfortable and appear to be recently re-furbished. 1 downside were the beds which are past their use by date. The dining was expensive and average. 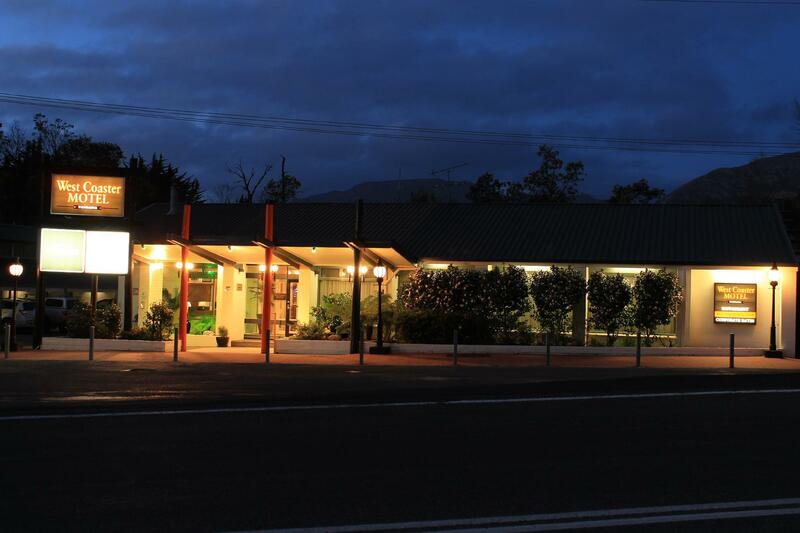 However most of tasmania dining is. 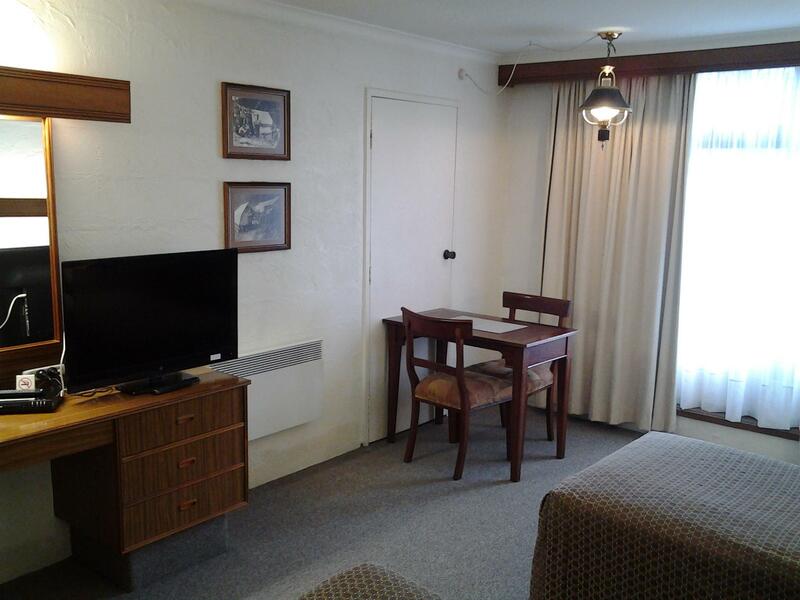 Accommodation was clean and comfortable with close proximity to the small mining town of Queenstown. It was very comfortable, staff we're very helpful. Good room service. Slightly closer to Hobart to travel to before flying home. The food was below average but the staff were friendly enough. The room was dingy and is in dire need of renovating. Shocking pillows and uncomfortable bed. one night stay but enjoyable. we needed a quiet room and the hotel was good. we enjoyed our meal which we would classify as well presented average pub food. suited the clientele. the facilities are old but clean and well maintained. we had interstate friends with us and they wee happy with their stay. we would stay again when in queenstown. Room was clean and servicable. 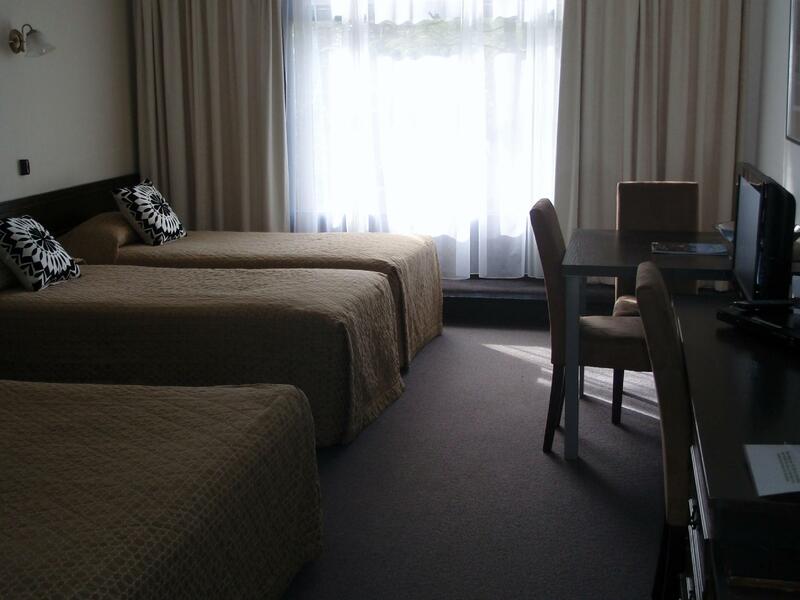 Walking distance to town centre and both hotels. Good meals to be had at both hotels. Fantastic view from the lookout which rises steeply from above the town centre. Room was nice, clean and spacious. Restaurant food was average for dinner and expensive for breakfast - grab your meals in town instead. we were stooping by for one night as it is a convinient town to rest between davenport and hobart. 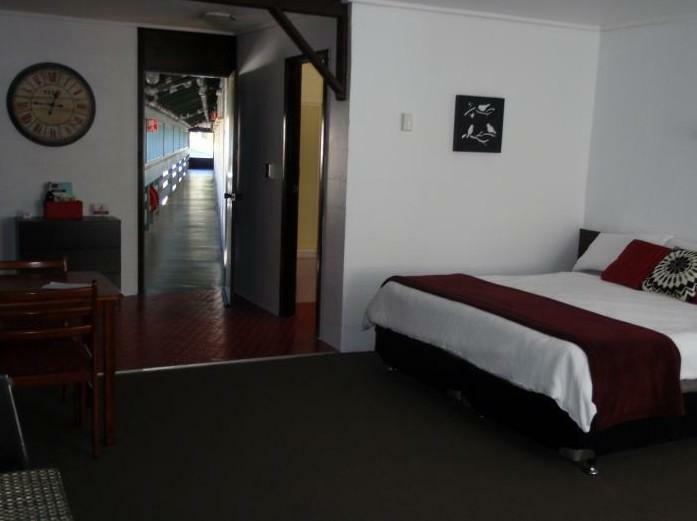 location is great as te motel itself is very close to te town with attractions like post office and railway station. can be better if the room is less dusty. the shower and bath stuff are all there. there is even a clothes hanger for washed clothes.